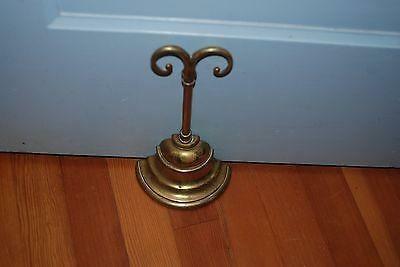 BRASS BELL SHAPED DOOR STOP~DOOR PORTER BY WILLIAM TONKS & SON. 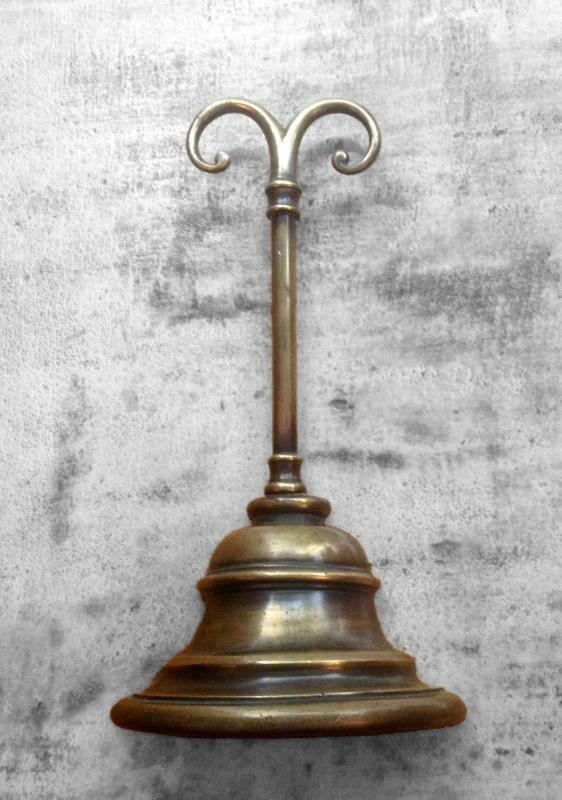 Beautiful 1/2 bell shape door stop porter is cast from fine quality brass by the renowned Birmingham brassfounder, William Tonks, Sons & Co. 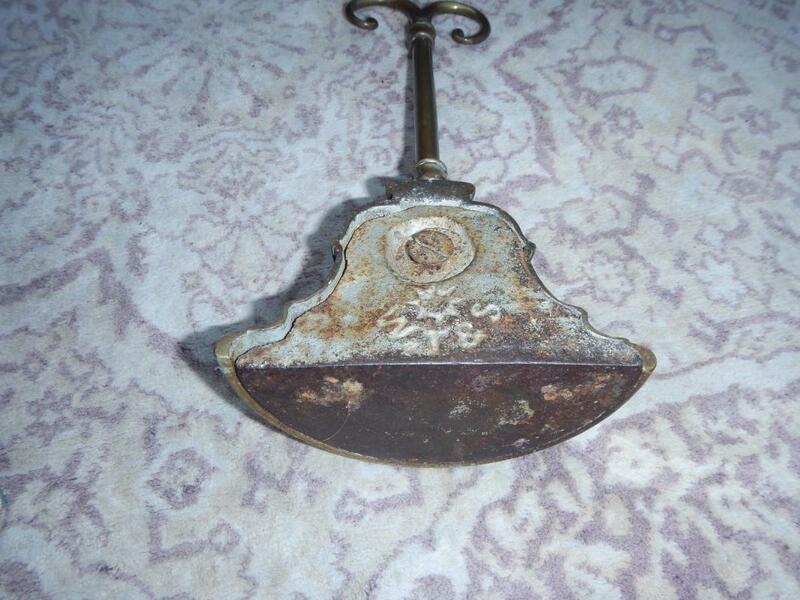 The attractive bell-shaped base is filled with a cast iron insert. 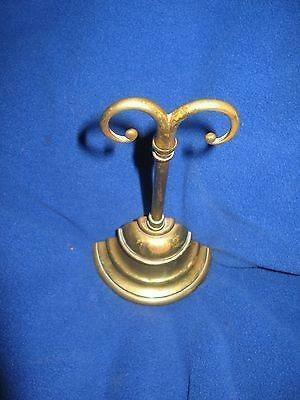 The column handle divides at the top to provide a useful scrolling finger grip. 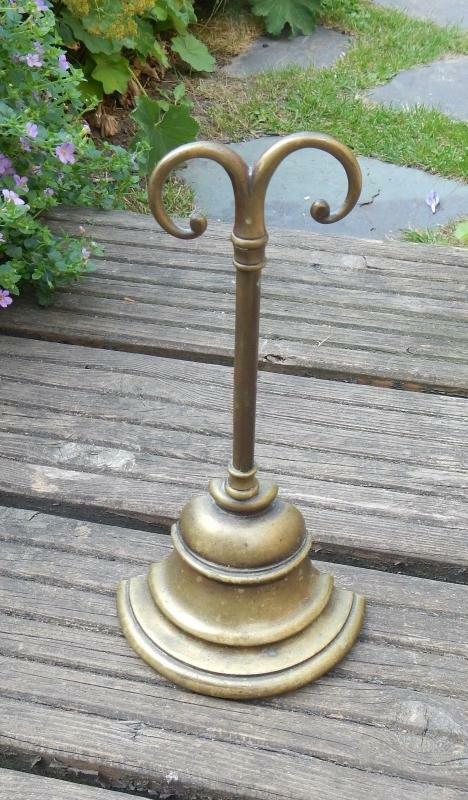 The piece is impressed with the maker`s initials, W. T. & S. below a sun motif and remains in used but excellent original condition. Circa 1840-60. Alone, unpacked is weigh over 3 pounds.